Pawtucket, R.I. – August 1, 2013 – Dr. Mayhem's henchmen are invading and it's up to builders nationwide to keep their city creations safe! 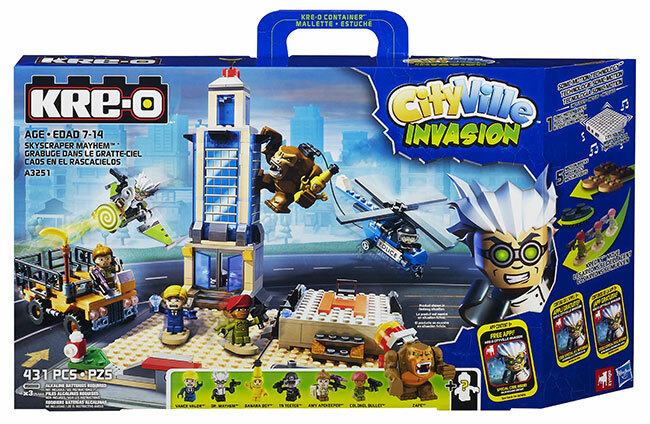 Hasbro, Inc., in collaboration with Zynga®, expands its popular KRE-O construction line with the introduction of the KRE-O CITYVILLE® INVASION collection, brick-based sets which turn ordinary cityscapes into madcap environments where builders' imaginations can run as wild as Dr. Mayhem. 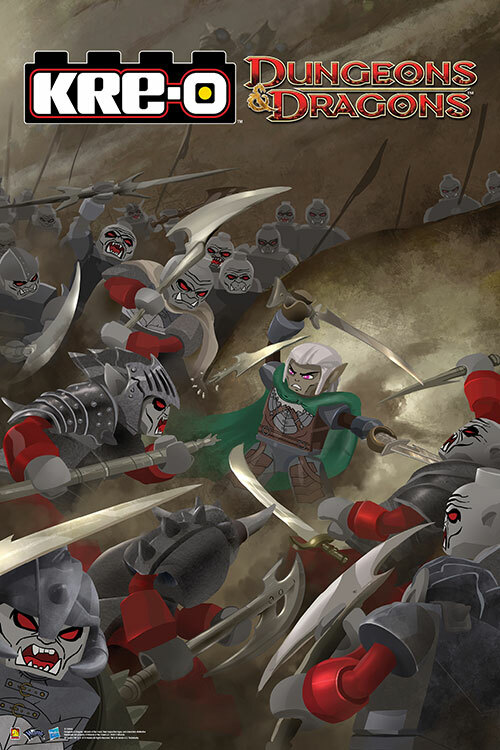 In addition to mischievous new KREON figures including zombies, gorillas, and vampires, several of the KRE-O CITYVILLE INVASION sets include playful sounds and SONIC MOTION TECHNOLOGY, a unique new innovation to the construction category.